When you bring a new puppy into your home there will inevitably be a period of adjustment. Your goals are to help your puppy to quickly bond to its new family, and to minimize the stress associated with leaving its mother, littermates, and former home. If there are already dogs in the new home the transition may be a little easier, as the puppy is able to identify with its own kind. Another option for easing the transition would be to get two puppies together. However, most puppies, especially those obtained before 12 weeks of age, will form attachments almost immediately to the people and other pets in the new home, provided that there are no unpleasant consequences associated with each new person and experience. "When a puppy enters our home, the family becomes the new social group." Dogs are a highly social "grouping-living" species that in the wild is often referred to as a pack. Packs have a leader that the other members follow and look to for "direction." In fact, each individual in the pack generally develops a relationship with each other pack member. When a puppy enters our home, the family becomes the new social group. Therefore it is essential for the puppy to learn its limits, including which behaviors earn rewards and which behaviors have undesirable consequences. Allowing behaviors that are pushy, disobedient or inappropriate may lead to problems that will become increasingly difficult to correct. Control must be achieved at the outset by the proper use and timing of rewards and by directing the puppy to display appropriate responses, rather than using punishment or physical techniques that can lead to fear and anxiety. When is the best time to begin training my puppy? Formal dog training has traditionally been delayed until 6 months of age. In reality, this is a poor time to begin training. The dog is beginning to solidify adult behavioral patterns, challenge behavior is emerging, and behaviors that they have learned in puppyhood may need to be changed. "It is best to begin training a puppy as soon as you bring him into your home." It is best to begin training a puppy as soon as you bring him into your home. One important task to begin early is to establish your role as the leader. This can be done by rewarding desirable responses, training the dog to obey commands, avoiding the reinforcement of behaviors that are initiated by your dog and training the dog to accept some simple body handling techniques. Puppy training classes that begin as early as 8 to 9 weeks of age will ensure both early socialization and early learning. Are physical techniques necessary for gaining control? Although there are many physical techniques that have been advocated for gaining control, not all of them are correct. It is the owners' attitudes, actions, and responses to the new puppy (along with the puppy's genetics) that are the most important determinants in the puppy becoming well-mannered and responsive, or becoming assertive, stubborn, disobedient and "domineering". "Training should focus on teaching the dog what you want, rather than disciplining what you don't want." Dog training literature has often discussed using scruff shakes and rollover techniques to discipline puppies. However, these physical techniques do not mimic how dogs would communicate with each other and such handling by a human could lead to fear, anxiety and even retaliation. Training should focus on teaching the dog what you want, rather than disciplining what you don't want. This makes a positive learning environment for the puppy to grow up in. There may be a number of advantages to teaching your puppy to assume subordinate postures (on their side, on their back, hands on neck, hand stroking the top of the head, hand grasping muzzle) but this does not mean that they teach your dog to be subordinate in its relationship to you. Having an obedient, well behaved, dog that enjoys handling and accepts restraint should be a focus of puppy training, but needs to be accomplished through reward based training, avoiding punishment or confrontational based training techniques and gradually accustoming your dog to enjoy handling. How can I gain control without physical techniques? The best way to gain control is to teach your puppy that each reward must be earned. This is also the best way to ensure that undesirable puppy behaviors are not inadvertently reinforced. The puppy should learn to display subordinate, deferential postures through reward training, rather than through any type of force. Begin with some basic obedience training, teaching the puppy to 'sit', 'stay' and 'lie down' for rewards. Practice short sessions, multiple times each day. Whenever the puppy is to receive anything of value (affection, attention, food, play and walks) the puppy should first earn its reward by performing a simple obedience task such as 'sit' or 'stay'. "Teach the puppy that rewards of any sort will never be given on demand." Teach the puppy that rewards of any sort will never be given on demand. Also known as 'nothing in life is free', a term coined by veterinary behaviorist, Victoria Voith, or "learn to earn" as described by William Campbell, the puppy must be taught that vocalization, nipping, mouthing, and overly rambunctious or demanding behaviors of any sort will never earn rewards. In fact, these behaviors should be met by inattention, by confining the puppy for a few minutes until it settles down, or with training devices and commands that get the puppy to exhibit the desired response. One such option is to immediately control and calm the puppy with a head collar. Rewards should be given as soon as the puppy is performing an appropriate response . Each member of the family must follow the same guidelines. Set limits on the puppy so that it does not learn that it can control you. Having the puppy sleep in its own bed or own cage rather than on your bed or couch helps to prevent the dog from gaining control or becoming possessive of your resources. When the puppy is taken for walks it should be taught to follow. This should begin at the front door where the puppy should be taught to sit, wait, and follow, and never allowed to lead or pull you through the doorway. How do I prevent my puppy from doing damage or getting into mischief? "The first step is to establish a daily routine that answers all your puppy's needs such as walks and exercise, play and training, feeding, and sleeping. " The first step is to establish a daily routine that answers all your puppy's needs such as walks and exercise, play and training, feeding, and sleeping. The rule of thumb for dog training is "set the dog up for success". Supervise the puppy at all times until it has learned what it is allowed to chew, and where it is supposed to eliminate. Keeping the puppy on a 10-foot remote leash is an excellent way to keep it in sight, and to train it not to wander off. This is particularly helpful with a highly investigative puppy or for a very busy household. "Housing the puppy in isolated areas where there is minimal human contact, such as in a laundry room or basement, should be avoided." At any time that the puppy cannot be supervised, such as during the night or when you need to go out, house it in a secure area. An escape-proof crate, a dog run, or a collapsible pen is simple, highly effective, and, most important, safe. The puppy could also be confined to a room that has been carefully dog-proofed. When selecting your dog's confinement area it is useful to consider a number of factors. The dog will adapt fastest to the new area if it is associated with rewards. Have the puppy enter the area for all its treats, toys, and perhaps food and water. The area should have some warm, dry, comfortable bedding, and should never be used for punishment (although it can, and should, be used to prevent problems). Housing the puppy in isolated areas where there is minimal human contact, such as in a laundry room or basement, should be avoided. In fact, often the best area is a kitchen (so that this can also be the dog's feeding area) or a bedroom (so that it becomes the dog's sleeping area). Each time the puppy needs to be confined, it should first be well exercised and given an opportunity to eliminate. Another consideration in selecting the type of confinement area is how long you may need to leave the dog alone. You must provide an area for elimination anytime the puppy will be left alone for longer than it can control its elimination. A room or collapsible pen with a paper-covered area would be needed if the puppy is being left alone for prolonged periods. A cage or crate could be used for owners that do not have to leave their puppies confined for longer than 2 or 3 hours. What is the best way to punish my puppy for misbehavior? "Avoid punishment for new puppies." Every effort should be made to avoid punishment for new puppies as it is generally unnecessary and can lead to avoidance of family members at a time when bonding and attachment is critical. By preventing problems through confinement or supervision, providing for all of the puppy's needs, and setting up the environment for success, little or no punishment should ever be required. If a reprimand is needed, a verbal "no" or a loud noise is usually sufficient to distract a puppy so that you can then redirect the puppy to the correct behavior. Puppies that are supervised with a remote leash can be immediately interrupted with a pull on the leash. What should I do if my puppy misbehaves? Undesirable misbehavior must be prevented, or corrected in the act. Allowing the puppy, even once, to perform an undesirable behavior such as entering a restricted room, jumping up, mounting or jumping onto the couch will serve to reward and encourage the repetition of the behavior. "We want young puppies to look toward a human hand as something pleasant that brings comfort, food and affection." There will be times when your new puppy misbehaves. How you respond to the puppy will often influence later interactions. Young puppies are very impressionable. Harsh physical reprimands are contraindicated. They only serve to frighten the puppy and perhaps make them hand shy. Unfortunately, animals can learn in one trial if something is averse enough. We want young puppies to look toward a human hand as something pleasant that brings comfort, food and affection. 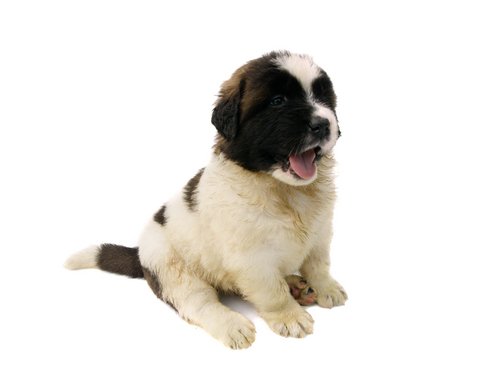 Most puppies can be easily interrupted with vocal intonation and loud noises. What is equally important is to redirect the puppy to the correct behavior after you interrupt what you do not like. Remember that punishment must take place while the behavior is occurring, not after. "Reprimands need to occur while the behavior is happening, preferably just as it begins, and never after." If you catch your puppy misbehaving, try a loud noise such as clapping your hands or a loud "uh-uh". Remember, reprimands need to occur while the behavior is happening, preferably just as it begins, and never after. Often puppies will be startled when they hear these noises and temporarily stop the behavior. At that time you should redirect the puppy to a more appropriate task and reinforce with an immediate and positive 'good dog'. 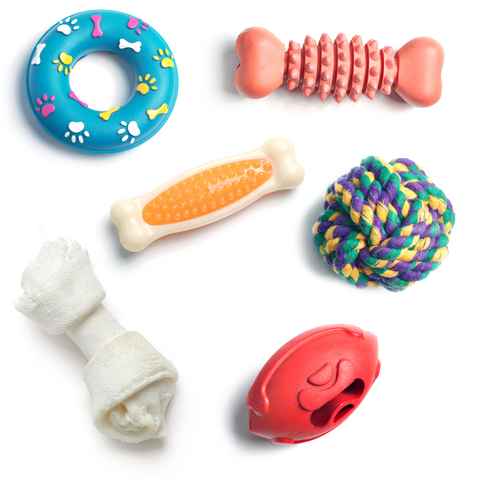 Another way to interrupt your puppy is with various types of noise devices. One such device is a "shake can". You can make an inexpensive shake can by putting a few pennies into an empty soda can and taping it shut. When given a vigorous shake it makes a loud noise, which will interrupt the puppy's behavior. Ultrasonic and sonic dog-training devices are also available . "If you find something that your puppy has destroyed but you did not catch him in the act, just clean it up and vow to supervise your puppy better in the future." Most importantly, if you find something that your puppy has destroyed but you did not catch him in the act, just clean it up and vow to supervise your puppy better in the future. Do not go get your puppy and bring him over to the mess and yell and physically discipline him. Remember that you need to punish the behavior you wish to change at the time it occurs. If you did not see your puppy chew up the object, all you are doing is disciplining your puppy for being present when there is a mess on the floor. Since that makes no sense to your puppy, your reprimands could create fear and anxiety, which could lead to aggression and owner avoidance. How can I prevent problems? Supervise the puppy at all times that it is not confined to ensure that the puppy does not get itself into mischief, or cause damage to itself or the home. Leaving a remote leash attached is all that is usually needed to prevent or interrupt inappropriate behavior such as garbage raiding, chewing on household items, house-soiling, or wandering off into rooms or areas that are out of bounds. If the leash is attached to a head halter you can quickly correct other problems that might arise, such as nipping, play biting, and jumping up. When the puppy cannot be supervised, confinement (discussed above) will be necessary. What can be done for the particularly stubborn, disobedient, or headstrong puppy? "Puppies that are particularly headstrong and stubborn might need some fairly stringent rules. " Puppies that are particularly headstrong and stubborn might need some fairly stringent rules. Tug-of-war games should only be allowed if the owner initiates the game, and can successfully call an end to the game, with an 'out', or 'give' command when it is time to call it quits. Rough play must not escalate to uncontrollable play biting that cannot be controlled by the owner. One of the best management tools for gaining safe and effective control at all times is a head collar. The puppy can be supervised and controlled from a distance by leaving a long line or leash attached to the head halter. The principle of halter training is to gain control over the dog with as much natural communication as possible and without the use of punishment. Positive reinforcement is used to encourage proper behavior. A pull on the leash is used to disrupt misbehavior. Since the halter is attached to the dog's muzzle, common behavior problems (nipping, barking, jumping up, pulling, stealing food, etc.) can immediately be interrupted without fear or pain by pulling on the leash. The halter places pressure around the muzzle and behind the neck. This simulates the muzzle and neck restraint that a leader or mother dog might apply to a subordinate, and therefore is a highly effective and natural form of control . What must I do to provide for my puppy's needs? "Chewing, play, exercise, exploration, feeding, social contact and elimination are basic requirements for all puppies... New tasks, new routines, new people and new forms of handling can be associated with rewards to ensure success." Chewing, play, exercise, exploration, feeding, social contact and elimination are basic requirements for all puppies. By providing appropriate outlets for each of these needs, few problems are likely to emerge. Puppies should be given chew toys that interest them and occupy their time. When supervised, the owner can allow the puppy to investigate and explore its new environment and can direct the puppy to the appropriate chew toys (and away from inappropriate areas). Play, exercise, affection, training, and handling must all be part of the daily routine. New tasks, new routines, new people and new forms of handling can be associated with rewards to ensure success. And, of course, the puppy will need to be provided with an acceptable area for elimination, and will need guidance until it learns to use this area.